Don was born and educated on the Wirral and graduated from Liverpool University. He has been involved in education in different roles for nearly fifty years, initially as a teacher of Eonomics and Geography in Cheshire before moving to Flintshire as Head of Faculty and then Deputy Head at Hawarden High School. In 1985 he was appointed Headteacher of Castell Alun High School and under his leadership the school was the first in Wales to be recognised by the Investors In People Standard. Both Estyn and Welsh Government acknowledged the strength of the school’s strategic planning and the continuous improvement that followed. The impact he made there was evidenced by the Welsh Office 1996 inspection report, highlighting leadership and management as the most significant factor in the school’s success. 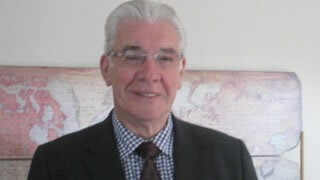 During his time at Castell Alun he was seconded to BP as the representative from Wales to develop training programmes for headteachers and in 1998 began working for Flintshire Education Directorate as their Investors in People coordinator, developing and leading their School Leadership programme at the University of Chester. Estyn recorded the effectiveness of this programme in a ‘Best Practice’ report. Don also delivered several aspects of the Welsh Government’s aspiring Headteacher (NPQH) training programme. In recent years he has been Chair of Governors at Hawarden Village Church School and Vice Chair of Mountain Lane Primary. Both schools have recently been inspected by Estyn with each enjoying highly positive outcomes. Reports noted the effectiveness of governance and Hawarden was the subject of another Estyn thematic best practice report on leadership and school improvement. Don’s knowledge and experience will enhance the skills set of the IEB and undoubtedly help the staff and wider community of Ysgol Treffynnon to realise their vision for the school, securing improved life chances for the young people of Holywell.